For thousands of years, the higher pursuits of human beings have been focused on discovering the subtler realms of existence and infinite power of nature. Seeking the ultimate truth is a quest as old as the evolution of human beings. We all have within us “seeds of seeking” that drive us to pursue higher, richer states of existence — a higher consciousness. Enlightenment can thought of as the pinnacle of this aspiration and journey, the ultimate defining moment of the highest pursuits of human beings. In precise terms, enlightenment means having the light within. And that self that is illuminated is the deepest inner, subtle self, deeper than the mind, body, intellect, id, or ego. It is the spiritual self, the soul. The discovery of the inner soul and the ability to actually feel it through tangible experience is the achievement of enlightenment. The effects of understanding the inner self that radiate outward and percolate into our daily lives further establishes the effects of enlightenment during our lifetimes. Enlightenment creates a new awareness within us. It develops mmediately after we experience Self-Realization, and continues to evolve thereafter. This enhanced awareness is characterized by the ability to perceive the subtle divine energy within — in our energy centers and energy channels — as well as in the world all around us. We’re always sensing the presence of this energy and the guidance it is providing to us. We also experience a noticeable, unmistakable perception of the subtler movements in our lives — with events, situations and people around us. It’s as if we now have a fully active sixth sense within us that responds to signals on a higher wavelength than our normal mental plane or any level of consciousness that we’ve experienced thus far in our lives. Enlightenment is very real in Sahaja meditation. You experience it on your central nervous system, through the activation of the subtle energy system and the Self-Realization process, which are discussed in detail. The first step in the enlightenment journey, in short, is the discovery of the subtle energy system when it’s activated during the Self-Realization process. Thereafter, through the practice of Sahaja meditation, your consciousness is elevated to the state of thoughtless awareness, which produces improvements in all dimensions: physical, mental, emotional and spiritual. Sustained practice of Sahaja helps you reach the pinnacle of the enlightenment journey. In practical terms, enlightenment is the ability to feel one’s spirit and experience the subtler inner self. Enlightenment also helps one see oneself in clear light through the subtle energy system of the chakras (energy centers). We can clearly see the qualitative aspects, what’s not right with us at the physical, mental and emotional levels, and turn our minds toward finding solutions. The discovery of the subtle energy system is, in effect, the discovery of the inner self. The subtle energy system includes the inner self or soul, which is, in reality, is a reflection of God Almighty. The second component is the Kundalini energy, which is the reflection of the Goddess or feminine power within us. Third, the energy channels (nadis) and energy centers (chakras) are representations of the various aspects of the divine power within us. These components collectively form the spiritual or divine ecosystem within us known as the subtle energy system. During Self-Realization, the feminine power within us is awakened along with all the other spiritual powers, and union with the all-pervading divine power of the cosmos is achieved. In this process, the reflection of God within us — our Spirit or inner Self — is realized or illuminated to us, even as we’re living in this mortal world. This is the achievement of enlightenment. Over time, the components of our subtle energy system, which reflect various divine qualities, can be strengthened and we become more God-like, more perfect personalities, provided that we continue to nurture these improvements, this ascent to higher states, out of our own volition and free will. This is the pinnacle of enlightenment in our lives. And is the ultimate reason that God created us: to allow human beings to progress through a journey in life until they became perfect mirror images of Him. All of these divine aspects can be religion-neutral; in other words, plainly and purely spiritual. They can be realized and experienced by an individual as a personal inner experience without the need to be associated with or “go through” any religious institution, structure or organization. Yet, spirituality and enlightenment may be also achieved if we choose to practice a particular religion or faith. Religion and spirituality are not in conflict with each other. They were intended to nurture each other, ultimately leading us to the final outcome: Enlightenment. Thus far, the majority of civilization has often mistakenly assumed that enlightenment is related to faith or some abstract happening that cannot be correlated to a physical, mental or emotional experience. This is not the case with the practice of Sahaja, where enlightenment at the start of the practice helps one physically experience a cool breeze or the all-pervading power on the fingertips, hands and top of the head. The attainment of the thoughtless awareness state and the bliss associated with it can actually be experienced. The peace and calm within experienced in the short term and the transformation of one’s personality in the longer term can actually be meaningfully observed and experienced once one has attained enlightenment through Sahaja. Self-Realization corresponds to the achievement of yoga or union with the divine and a specific experience and sensation can be felt on the top of the head at the seventh chakra where this union occurs. The state of thoughtless awareness, which is the elevation of the consciousness to a higher plane, grants the state of meditation which can be practiced day in and day out. The Self-Realization process and journey of enlightenment are thus tangibly evidenced in Sahaja through specific experiences, sensations and sensory perceptions. In this respect, Sahaja is able to bridge the oft-perceived gap between science and spirituality and manifest what has been traditionally thought of as an abstract phenomenon, far beyond the scope of science, directly onto the central nervous system. fMRI and other neuroimaging technology can be used to detect specific key changes in the brains of Sahaja meditators achieved during the state of thoughtless awareness and Self-Realization. In other words, emerging scientific evidence demonstrates a direct link between enlightenment and science. And these changes have been shown to persist and increase with the long-term practice of Sahaja meditation. Many people expect an experience as precious and important as enlightenment to be a dramatic event. It isn’t always. Enlightenment is not always dramatic,exotic or exquisite. In many cases, the Self-Realization process simply awakens the Kundalini energy and the practitioner may feel nothing at all at the beginning. Then after days, weeks, or months, all the experiences associated with the activation of the subtle energy system may slowly but surely begin to manifest. But some people experience a truly blissful, unique and exhilarating experience in the very first Sahaja session. It can be an exciting, awe-inspiring breakthrough in their lives. Experiences vary across practitioners, but one thing’s for sure: the Kundalini energy awakening happens in every person who experiences Self-Realization through Sahaja. Similarly with thoughtless awareness, some gradually ease into experiencing it regularly, while others are taken to the state of thoughtless awareness almost instantaneously. For those who have been fervently seeking the subtle, the excitement, satisfaction and sense of achievement that accompanies enlightenment can be profound. Yet, for those who come to Sahaja with, say, the goal of simply learning to mediate rather than seeking the higher reaches of enlightenment, achieving enlightenment can be quite a low-key event if they never really understood what it is, or it was never on their radar at all. For still others, the discovery of the divine through a tangible experience may be the biggest thrill of their lives, something that they instinctively and intuitively knew existed all along, yet had nothing more than faith to pin their hopes on. Many people view enlightenment either as a one-time happening, or as some magnificent final, peak achievement after which nothing more important else exists. But in reality, enlightenment is a journey, not a final destination. And the initiation or gateway to this journey is Self-Realization. The ultimate value of enlightenment comes down to what the individual makes of it. Simply attaining enlightenment and doing nothing with it won’t get you much. Failing to apply its lessons will do nothing to improve your life. In fairness, sustainable enlightenment isn’t easy. Like all other major achievements in life, it requires hard work, perseverance and focus, even as it is a highly enjoyable experience. There are powerful attractions in this world, most of them material in nature, that tend to attract us more strongly and can lead us off the path of our journey. To start with, everyone’s journey involves some kind of an initiation, which causes an activation of the subtle energy system within and awakens the Kundalini energy. So yes, it’s true that all other triggers or initiation methods that do not achieve this energy awakening cannot be characterized as true enlightenment. This awakening is followed by the consistent establishment of the state of meditation and yoga, the union with the divine power. This, in turn, produces positive improvements in characteristics, personal qualities and behaviors. From then on, the more initiative, effort, focus, perseverance and hard work you invest in your journey, the greater the strength of your connection to the universe and depth of your meditative state; thus, you can expect a greater improvement of positive traits. Then there’s the medium- to long-term impact on the individual’s life. One becomes permanently oriented towards the higher, subtler aspects of life, and without the need to make sacrifices or completely abandon all other pursuits in life. It’s a fallacy that we must give up what we enjoy in life to achieve higher consciousness. It’s about the strength of our attention. If our attention is always steadfastly focused on the higher reaches and we’re continually striving to improve ourselves, there’s no need to give up our “normal” lives. The exceptions, of course, are temptations and obstacles that tend to deter our progress on this journey. Examples of such obstacles would include negative traits within us (e.g, jealousy or hatred), lack of self-control, surrendering to impulses or excesses that disturb a balanced life, and so on. Yet, nothing that is deemed a normal part of our lives need be given up for the sake of achieving enlightenment — career goals, families, social lives or even entertainment that nurtures and inspires us. We may continue to live as normally as anyone in this world while pursuing the higher reaches of consciousness. Enlightenment is not just for mystical, saintly or highly evolved people. It’s for “regular” people, too. What we make of enlightenment is entirely up to us and how we fare in this journey throughout our lifetime… and that’s the key: this journey is a journey of a lifetime. At times, we may falter, make mistakes, and feel lost or confused, but we have the rest of our lives to get back on track. So, what do we get for having successfully pursued this journey? We climb higher up the ladder of human evolution. We enjoy many unique experiences, peace within and virtually guaranteed insurance against life’s shocks and problems. Through enlightenment, we are so well-tuned to absorb life’s shocks that they have little impact on us. As normal people, we may still experience traumatic experiences and hardships, but enlightenment dramatically improves our ability to cope and take them in stride. Our perspective of life is broader and deeper, so we are able to value all our experiences, rather than cherry-picking only those that please us. It is not unreasonable to believe that highly evolved people and those who attained fame or recognition for generations of people to follow achieved some form of enlightenment or exposure to the ultimate truth. Or possibly, they were enlightened at birth, which granted them superior maturity, capabilities and insights that helped them make groundbreaking achievements. It’s also true that such people pursued enlightenment throughout their lives, understanding that it was the pinnacle of human achievement, truly the ultimate. In truth, it’s very difficult for someone to understand the journey of enlightenment without experiencing it personally. It’s best experienced, rather than simply described. For most of us, enlightenment requires a trigger. Few of us can accomplish it by ourselves. That trigger may come in the form of an encouraging guru, through the awakening of the subtle energy system, or the connection to the all-pervading power. The original, etymological definition of the word guru is: one who is the remover of darkness. The word guru also denotes “heavy,” or being a person of gravity. A true guru is one who can initiate enlightenment in others, having achieved it himself/herself and having developed a deep understanding of spirituality and the divine. A guru is an expert in this regard. Unfortunately, there are plenty of incompetent and false gurus in this world. Many of them simply lack the necessary maturity; others are self-acclaimed gurus who intend to willfully exploit us. In today’s society, the word guru is tossed around quite casually and often relegated to people who may claim mastery of and expertise in pretty much every avenue of life you can think of. So much so, in fact, that we’ve lost the original knowledge of enlightenment and understanding of what a guru is really meant to do. A teacher need not be a guru. A highly knowledgeable person need not be a guru. An expert may not be a guru. Who Can Be a Guru? In reality, a normal, real-world person who initiates another person’s Self-Realization is a guru. Period. No stature needed, no fame or worldwide acclaim, no special attire, no knowledge tests or “certification” required. Nor must he or she dwell in a cave in the Himalayas. Our expectation that only these monk-like people can be gurus capable of initiating Self-Realization suggests just how diluted our knowledge of spirituality has become. How do the true gurus do it? They have active subtle energy systems and the divine has manifested within them. They have a direct connection to the all-pervading power, thus they can act as instruments of the divine power and be the trigger for activating someone else’s subtle system and awakening the Kundalini energy as long as the individual has a strong desire within to experience this awakening. True enlightenment can never be forced upon anyone by a guru or any other individual. True enlightenment can never cross the free will of human beings. It does seem that very few people can achieve true enlightenment on their own. Examples of those who could were special human beings like the Buddha, who received Self-Realization. Or certain great saints who were perhaps born with their subtle systems fully activated and thus had an innate, sustainable connection to the divine without needing any external trigger. Such great, seemingly naturally enlightened individuals have lived on earth over the ages, but are few and far between. And they all tried their best to pass along the gift of enlightenment to others, but struggled to accomplish it because the maturity of human beings has been typically quite low throughout the ages. Today, the maturity of the human civilization may not be particularly evolved with regard to spirituality, but we have matured in many other dimensions — culture, knowledge, scientific advancements and many others. So, perhaps the time is ripe for us to activate our inner subtle systems and pursue enlightenment. Enlightenment requires an actualization within. Mere accumulation of knowledge, understanding, or wisdom cannot grant enlightenment. Perhaps the reason for this common misconception is that, throughout the centuries, people have tried hard to understand and actually achieve enlightenment, but could accomplish neither. So, the closest they could get was amassing great knowledge about spirituality or developing the ability to articulate their knowledge in an impressive manner. In the absence of real, tangible evidence and clear understanding of the subtle energy system, people assumed that those who seemingly had the most knowledge or spoke about it most eloquently were enlightened. Soon, intellect, knowledge and even wisdom were equated to spiritual depth, and the more of these qualities you possessed, the more enlightened you were thought to be. 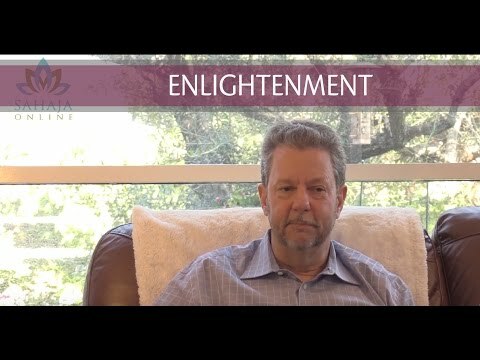 How Can One Achieve Enlightenment? In reality, spirituality is the simple attainment of the divine connection and awakening of the inner energy. It is about exhibiting a set of very basic, simple qualities that shine from within. Such people may have low intelligence, minimal knowledge, and may not be the most eloquent speakers. Yet, they do have an innate maturity and understanding of the ultimate truth. They’re always at peace with themselves and have surrendered to the ultimate power. They are largely unperturbed by anyone or anything. They highly value their own personal connection with the divine. They are not bombastic or pretentious simply because they’re enlightened. In fact, the more enlightened people are, the more startlingly simple lives they may actually lead. Some of them may be great achievers, yet extremely humble. They may or may not be ambitious. Ambition and success in the material world has nothing to do with enlightenment. Also, mere self-awareness or mindfulness cannot grant enlightenment. It may only nudge one closer to ultimately finding true enlightenment. This is because even if we’re mindful and self-aware about the concepts of enlightenment, our consciousness is still identified with the mental plane of existence — this is merely another form of knowledge. The attainment of enlightenment requires one’s consciousness to be elevated to a state higher than the mental plane, possibly only through the actual awakening of the Kundalini energy. Enlightenment has no prerequisites. Anyone of any age, gender, background, faith or personal qualities may receive enlightenment without any distinction whatsoever. It all comes down to how sincere we are, the strength of our inner desire, and of course, what we do with enlightenment once we achieve it. Everyone gets a fair chance in the eyes of the divine. The true test is not whether one can “qualify,” but what one can achieve with enlightenment. That said, enlightenment cannot be achieved by skeptics. Nor can it be achieved by those who set out to prove that it doesn’t exist. It’s so subtle that it won’t exist for them, for all practical purposes, so they’ll never achieve it anyway. It is a mistaken notion that enlightenment can only come to those who may be considered spiritually knowledgeable or mature, or even people who exhibit certain valued behavioral qualities or a high degree of self-discipline. This was the case hundreds or thousands of years ago. Nature’s plan for how to grant enlightenment to human beings has constantly evolved over time as human civilization itself has evolved. Just as we’re now able to travel across the world in hours, perhaps today will become the jet age of achieving enlightenment. How does Enlightenment work and how do we detect it? Enlightenment works in unison with the achievement of true yoga and meditation at the time the Kundalini energy is awakened and the subtle energy system is activated. True yoga is union with the divine power and at the time of union, the state of meditation results by elevating one’s consciousness to a higher state. At the same time, you experience, on your central nervous system, your spirit or inner self and you’re able to experience your subtle energy system components, i.e., the state of enlightenment or the self within. Enlightenment, yoga and meditation, therefore, are not disparate concepts. They are inseparable. These elements are also inseparable from the automatic, innate manifestation of qualities within us that improve our personality, character, health and well-being. However, what varies widely among human beings is the consistency, duration and sustainable achievement of enlightenment and the degree of trait improvement over our lifetime. Enlightenment manifests in human beings over a lifetime and the evidence of it is entirely correlated to how subtle we become in detecting its existence and the extent to which we develop traits and qualities that elevate us to higher states of existence, maturity and spiritual advancement. If we find that, despite achieving Self-Realization, our personality and character traits degrade over time, it’s reasonable to assume that we got a reasonable shot at enlightenment but didn’t fully utilize it. Sahaja techniques allow us to detect any improvement or degradation in enlightenment through the sensory experience of vibrations on the finger tips and in specific energy centers. Over time, we’re able to detect positive and negative or strong and weak vibrations. When vibrations start fading or even turning negative, it’s a clear indicator that we’re regressing rather than improving. Sometimes this regression directly coincides with and can be linked to certain negative impulses and behaviors, including those that we have trouble controlling, even though we sense that these negative behaviors or impulses are causing us to regress. Although it cannot be determined with certainty, it can be reasonably assumed that this person is less enlightened, or not enlightened at all. One’s enlightenment is not to be measured against anyone else’s. It’s a personal, individual journey. If we’re unable to even detect improvement or regression, it’s safe to assume that we’re probably off the path altogether, or were never actually on it in the first place. It’s also important to understand that the manifestation of strong positive qualities must be true and innate within an individual, rather than artificial, contrived, pretended, or even acquired through mental training. Enlightenment causes transformation from within, transformation that we can feel and experience in many, unmistakable ways. It is not a consciousness that we can simply mentally train or condition ourselves into. Occult practices such as voodoo, black magic or similar practices cannot be equated to enlightenment, even though such practices might be used to artificially, falsely demonstrate effects and illusions that masquerade as enlightenment. Not everything that is beyond the realm of science is positive, spiritual or related to the realm of enlightenment. Any feat that is done or achieved using a connection to the divine all-pervading power can never be harmful, nor will it ever demand anything from us materially, such as the exchange of money. The all-pervading power is a powerful, highly compassionate, highly intelligent force in the universe that is always silently at work, at all times. It always desires that human beings will evolve to higher and higher states of enlightenment, but only through the power of their own desire, effort and perseverance. Through the practice of Sahaja meditation, this divine desire united with our own inner desire, can make enlightenment real in our daily lives. Sahaja makes enlightenment not only tangible, but easily accessible. It offers a clear entry point through the achievement of Self-Realization and continuous improvement of one’s subtler self through the sustained practice of Sahaja meditation. Here at SahajaOnline, you’ll also find a wealth of information about spirituality and meditation, including an in-depth look at how the subtle energy system really works in the journey of enlightenment. Ultimately, it’s hard to find a single all-encompassing resource that can provide you with the necessary knowledge, experience and motivation. But with the help of our online instructors, you’ll actually have access to something as precious as enlightenment. It’s here for the taking.